In keeping with the spirit of the Kingdom Triangle (life of the mind, spiritual formation, supernatural power of the kingdom), I just finished reading three books over the last month or so, one in each area of the Triangle, and I wanted to recommend each of them to you. The first one is Judith MacNutt’s book Angels are for real (Chosen Books with Baker, 2012)., for which a FREE Kindle version is available as of today (HT: @TimothyBayless]. While I don’t agree with all that MacNutt writes, I do agree with 90% of it. But more importantly, Judith and her husband, Francis, are well-educated, thoughtful, credible witnesses to the supernatural, and this book is extremely edifying. It will give you solid biblical teaching about angels (including dark ones) (though some of her insights derive from Medieval speculation and do not seem credible to me), it will equip you to be more intentional in regarding angels in your daily life, and it will increase your faith that angels are actually real. This is a wonderful faith-builder. The second book could be classified in the category of the life of the mind or spiritual formation, but I read it with the express intent of deepening my love for and closeness to Jesus, and it did not disappoint in this regard. 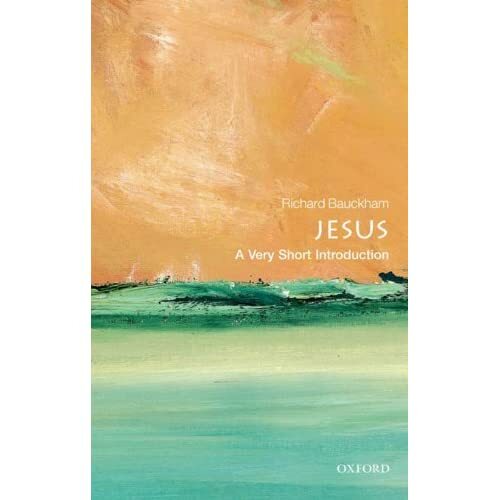 The book is Richard Bauckham’s brief (119 pages) work Jesus: A Very Short Introduction (Oxford University Press, 2011). The book seeks to locate Jesus in his historical milieu and it makes Jesus a living, breathing historical figure. In my own life, I have tried to be careful not to create a Jesus in my mind that is a product of my culture, my own brokenness, and so forth. Reading a book like Bauckham’s is a helpful corrective to this tendency in us all. I was freshly drawn to and deepened in my love for Jesus Himself. He is pretty exciting!! The third book is a life-of-the-mind work by Robert Kane entitled A Contemporary Introduction to Free Will (Oxford University Press, 2005). What a book! It is an authoritative guide, sophisticated yet accessible to a thoughtful reader, and fair in coverage. Kane is a professor at the University of Texas and one of the world’s leading experts on the subject. 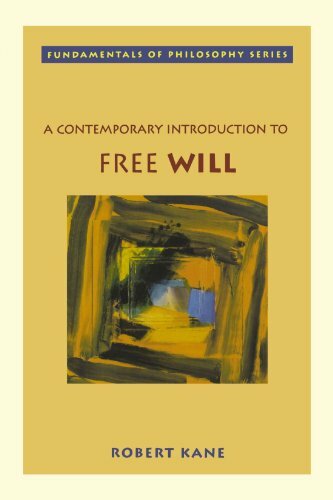 If you want to get up to speed (at least up to 2005) about issues, options and distinctions in the philosophical discussion of free will, this is the book to read. I hope these are helpful to you in your journey. I have benefitted from each book in important ways. I’ll have to put these 3 books on my reading list. Thanks!